Presentation drawing used for fundraising. 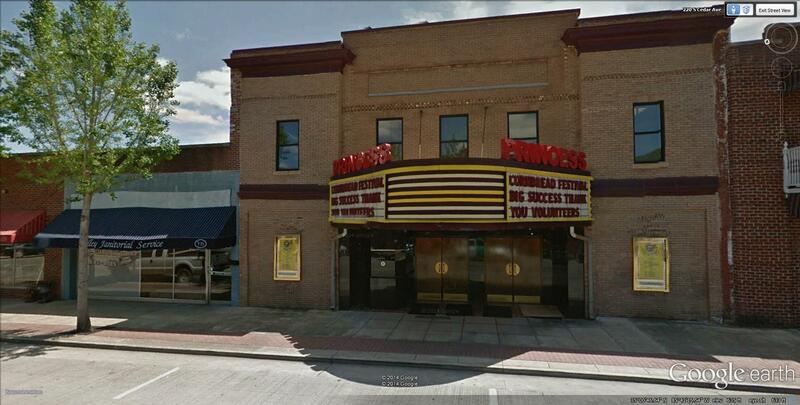 Restoration/renovation of a 1934 movie house for use as a multipurpose auditorium. 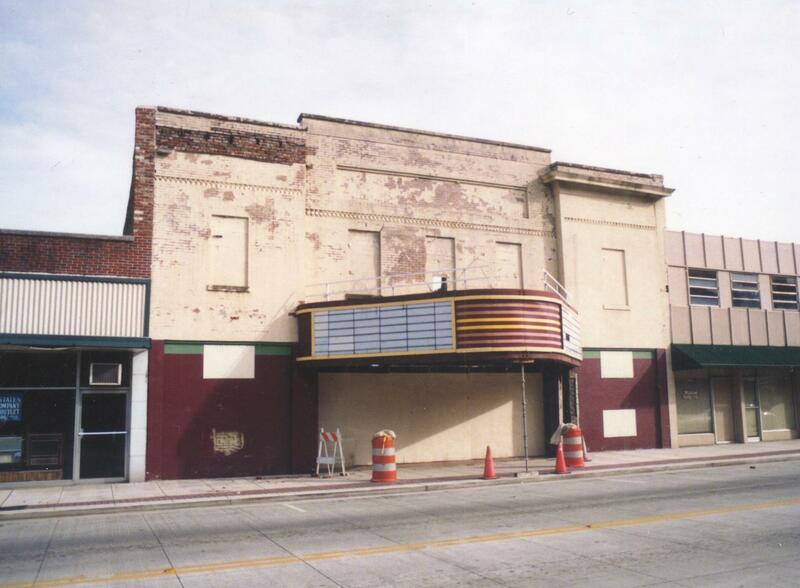 Built in 1920 as a showplace for silent films, like many small town theaters from that era, the Princess underwent many renovations before finally being boarded up and abandoned in the 1980s. Slow deterioration set in until the roof and one sidewall collapsed. The façade has been restored to it’s 1950s appearance, as well as the auditorium. 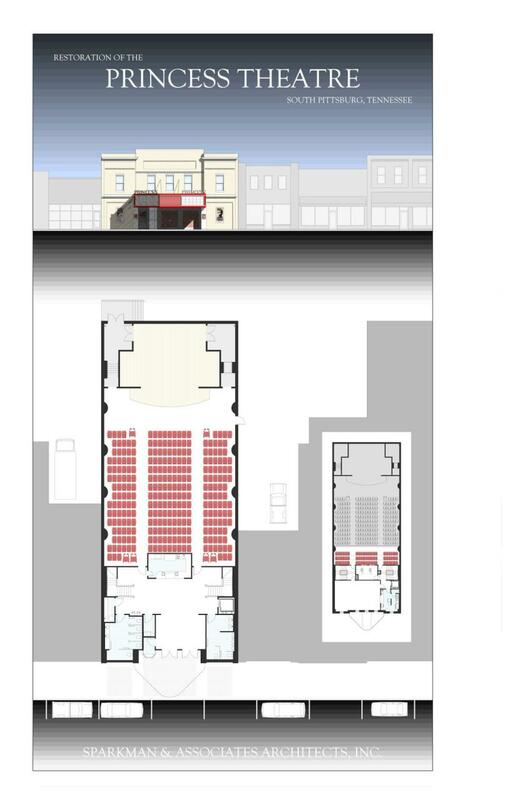 In addition, the project will includes an enlarged lobby, toilet facilities, and stage. A meeting room and catering kitchen were created on the second floor. The project was completed in 2011.